The lifecycle of a data center is measured in decades, yet the tech that’s inside is changing constantly. The mismatch is driving enterprises to overhaul their data centers in order to keep pace with – and help accelerate – business operations. According to IDC, by 2020, the demands of next-generation apps and new IT architectures will force 55% of enterprises to upgrade their existing facilities or deploy new facilities. Modernization is one of IDC’s 10 key predictions for the global data center market over the next three years. The firm also predicts the industry will see a continuing shift to software-defined infrastructure; adoption of autonomously operating IT infrastructure; and a move toward consumption-based payment models, among other highlights. “Technologies and operating models to adapt to a more rapid pace of change are entering the data center, and these technologies are having a major impact on the physical facilities, the data centers themselves,” Cooke says. “IT organizations are much more cognizant of the need to innovate and provide resources that drive more business, and they need to move at the speed of business, not the speed of traditional IT, and this is having some far-reaching impacts on data-center decisions, including whose data center to use, modernization, and how to pay for data center resources." By 2020, the heavy workload demands of next-generation applications and new IT architectures in critical business facilities will have forced 55% of enterprises to modernize their data center assets through updates to existing facilities and/or the deployment of new facilities. By 2019, 50% of organizations will have initiated efforts to rationalize workloads and accelerate the adoption of next-gen workloads, necessitating drastic changes to infrastructure design and placement as well as IT operations models. By the end of 2019, 70% of companies engaged in digital transformation efforts will be struggling to translate business needs into effective IT investments and operations plans, forcing them to alter staff hiring targets to ensure they have the advanced skill sets needed to build digital supply chains. By 2021, the expanded use of power-hungry accelerated computing technologies will have forced most major data center operators to adopt a modular approach to deploying power/cooling assets in their facilities. By 2020, consumption-based procurement in data centers will have eclipsed traditional procurement through improved "as a service" models, thus accounting for as much as 40% of enterprises’ IT infrastructure spending. By 2021, 25% of large enterprises will have turned mandated regulatory compliance investments to their advantage by using them to set and enforce automated data controls across their clouds, core data centers, and edge locations. By the end of 2019, the need for improved agility, better manageability and enhanced asset usage will force companies pursuing digital transformations to migrate over 50% of the IT infrastructure in their data center and edge locations to a software-defined model. By 2021, critical infrastructure in half of enterprise data centers will be operating autonomously while use of autonomous IT in intelligent edge locations will be even greater as organizations seek to link core and edge resources to support digital transformation initiatives. By 2021, over 50% of companies in consumer-facing industries will spend more annually on upgrades to their network, computing, and storage resources in edge locations than on upgrades in their core data centers. In 2019, 60% of digital services will fail to meet desired customer adoption levels because the providers of those services are unable to effectively monitor and quickly respond to performance, utilization, and cost degradations. IDC’s Cooke was joined by Susan Middleton, research director for technology financing strategies, and Richard Villars, vice president for datacenter and cloud, in a web conference to discuss the firm’s data center predictions. As companies work to plot their data-center course, the goal of IDC’s research is to provide a blueprint for IT leaders to chart what needs to be done to adapt and improve in a digitally transformed world, Cooke says. “Because of cloud, the bar for speed and agility has been set very high. Internal IT is really being asked to transform to a service-type of business, and this is very difficult to do in a traditional data center facility,” Cooke says. Modernization projects will allow companies to shift to a more transparent operating model and provide the insight IT leaders need to make informed decisions about workload placement. “Automation technologies will be not only in the IT infrastructure but also within the critical infrastructure – the power and cooling infrastructure – driving better resource utilization and better asset management,” Cooke says. “Make your life easier by investing in smarter data center technologies,” Cooke advises today’s IT pros. Smart data-center technologies that communicate status, performance and capacity information have existed for some time, but organizations have struggled to make good use of the data, she notes. That’s going to have to change. “Developing the ability to gather and analyze real-time data from the critical infrastructure will really be table stakes from here on out, especially in a more distributed and diverse data-center ecosystem,” Cooke says. On the spending front, IDC's Middleton discussed as-a-service procurement and consumption-based payment models for the data center. Procurement strategies have been shifting toward pay-per-use for the past few years, and the trend is accelerating. “Consumption-based procurement models have become a requirement as both CFOs and CIOs like the flexibility and transparency of these payment structures,” Middleton says. By 2020, as-a-service models will command as much as 40% of enterprise IT infrastructure spending, IDC projects. Digital transformation is, again, one of the reasons for the shift. Changing workplace models, a need for greater IT agility, and requirements for cost transparency are influencing IT consumption decisions and investments. At the same time, vendors and service providers have been coming out with new IT procurement programs and as-a-service models that take advantage of autonomous infrastructure technology, Middleton says. “We expect the pace of innovation in procurement options to rapidly increase,” she says. IT must be able to translate technology resource investment into easy-to-use chargeback payment options, she says. Villars zeroed in on the trend toward software-defined IT, reiterating that companies over the next two years will be migrating more than 50% of their IT infrastructure in data center and edge locations to a software-defined model to achieve needed agility and efficiency – and it’s going to have a major impact on how companies are running their data-center environments. “They won’t just be using software-defined for point systems, or testing for various things. They will have committed fully to software-defined as their current architecture and their long-term architecture,” Villars says of these frontrunners. At this level of commitment, software-defined will emerge as a critical accelerator of the move toward greater deployment of IT in the edge, he says. One challenge for IT organizations will be related to talent. “This is only going to heighten their skills shortages,” Villars says. As companies think about how to adopt software-defined infrastructure within their organizations and across their data centers and edge environments, they should be cultivating skills in service orchestration, automation of deployment and provisioning processes, and asset reclamation, Villars says. Asset reclamation, in particular, is something companies need to get better at if they want to make the most of underused assets. Edge computing, meanwhile, will have an impact on the development of core data centers, according to Cooke. Delivering IT services at the edge will require adoption of more autonomous IT. Edge resources will be more intelligent, capable of being remotely managed and performing self-healing. And as companies experiment with smarter technology at the edge, they’ll recognize the benefits of extending this intelligence across all data center resources. “The edge in this way becomes a proving ground out of necessity for remote management,” Cooke says. For IT teams, that means there will be “a lot more standardization and instrumentation at the edge. 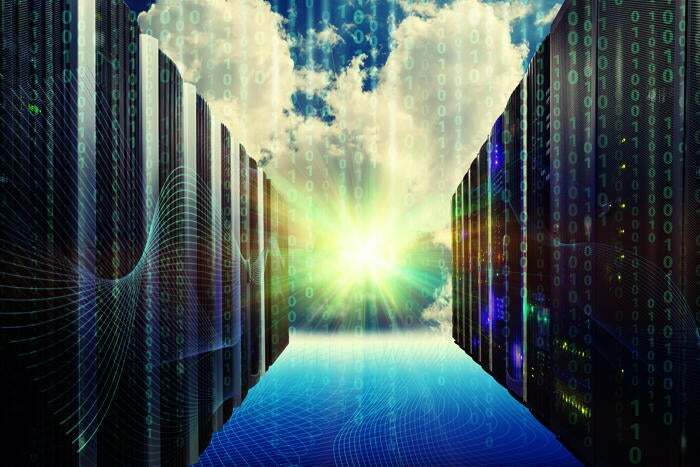 IT skills will evolve to meet this new model and will be more focused on leveraging data and analytics to drive better resource utilization for the data center facilities,” Cooke says. Most organizations will also need to either retrain their data center staff, or hire new data center staff, that are comfortable working with “digital twins” of data center resources.